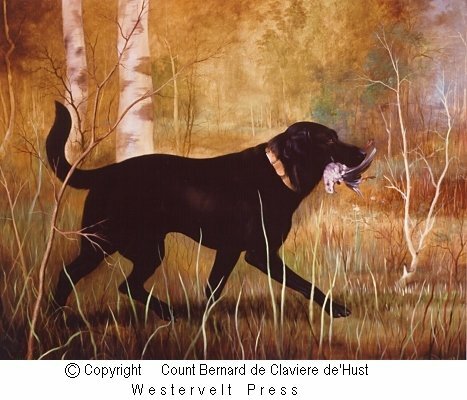 Dog Prints, Black Labrador,Count Bernard de Claviere d'Hust, " From forth The Thorny Wood ". Black Labrador: From Forth The Thorny Wood. View the "Print status and information page"